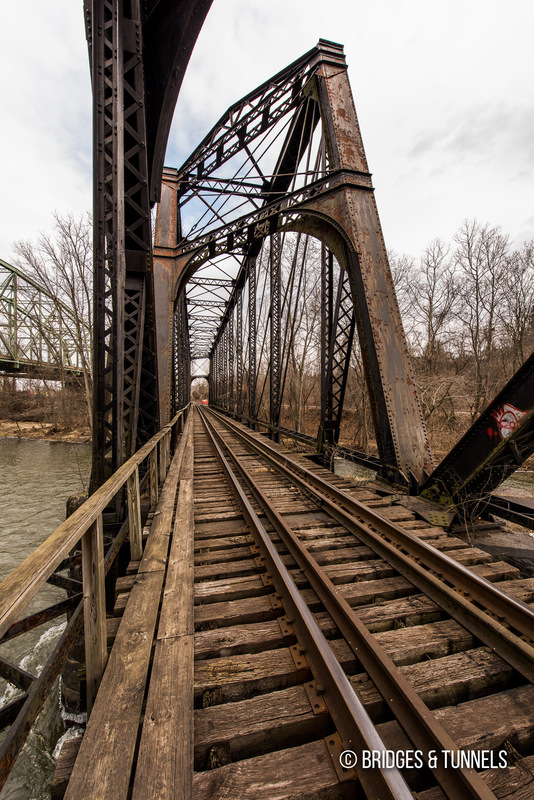 The Shenango River Bridge carries the New Castle Industrial Railroad over the Shenango River in New Castle, Pennsylvania. 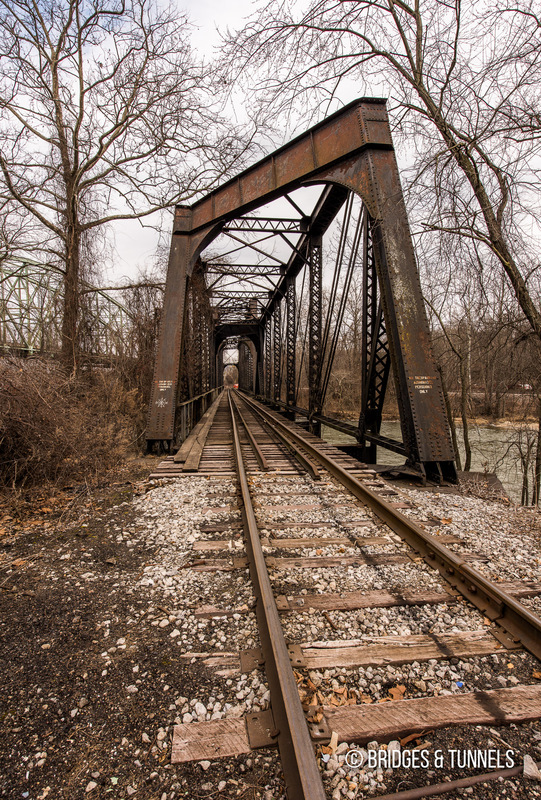 It was once part of the Buffalo, Rochester & Pittsburgh Railroad and Baltimore & Ohio Railroad. The Buffalo, Rochester & Pittsburgh Railroad (BR&P) was chartered in 1885 to haul bituminous coal from the western and central Pennsylvania coalfields to Buffalo and Rochester. 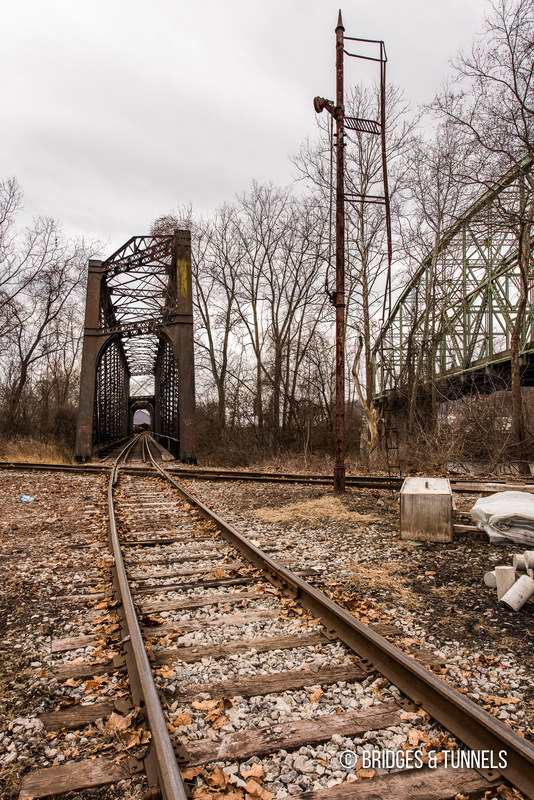 While a direct connection to Pittsburgh was planned, the BR&P utilized trackage rights over a Pennsylvania Railroad subsidiary to reach Pittsburgh’s steel mills. 1 The BR&P later used trackage rights from the Baltimore & Ohio Railroad (B&O) from Butler, Pennsylvania south to Pittsburgh’s Smithfield Street Station. 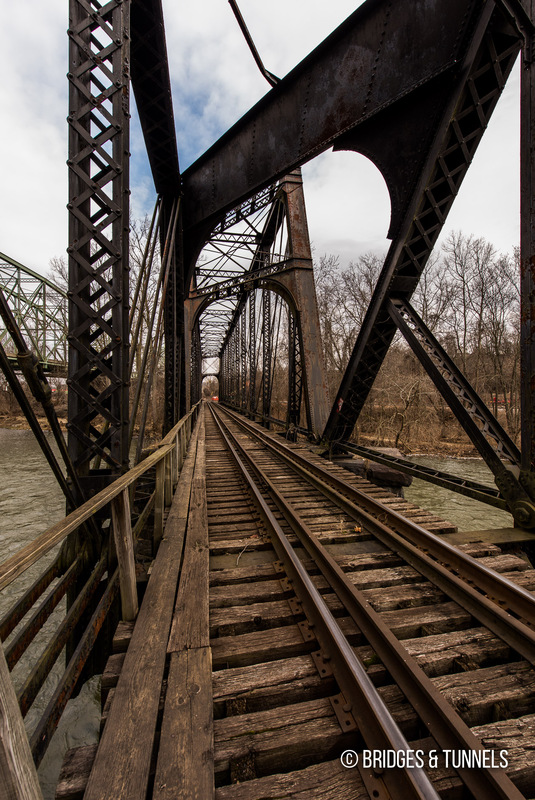 In August 1901, the BR&P, B&O and the Pittsburg & Lake Erie came together to construct a bridge over the Shenango River just south of Mahoning Avenue. 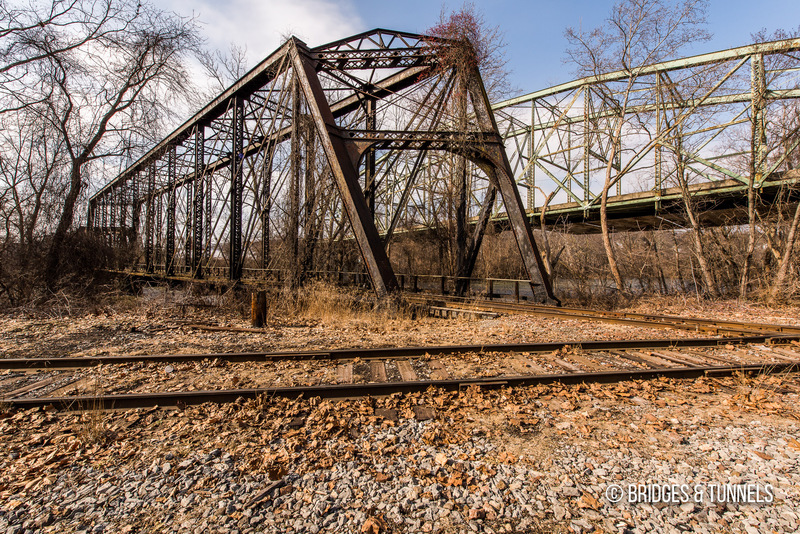 4 The new bridge, a Whipple through truss and Pratt through truss, was built to connect the BR&P to the Pittsburg & Lake Erie Railroad and B&O 2 and to the city. 1 The railroad, with three operators, would also serve several new factories, including Hartman Manufacturing and the Baldwin & Graham stove works. 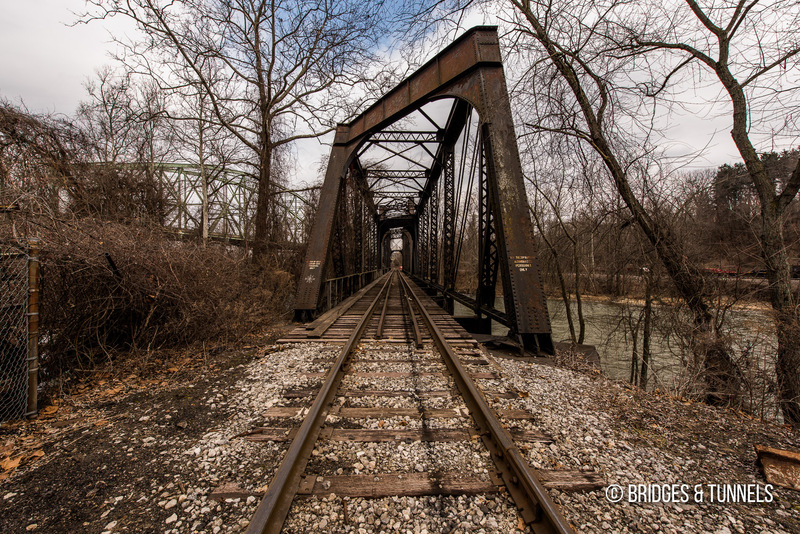 The B&O acquired a controlling interest in the BR&P in 1929 before purchasing the company outright in 1932. 1 The B&O was attempting to use the BR&P to access new markets across New England, Pennsylvania New York City. 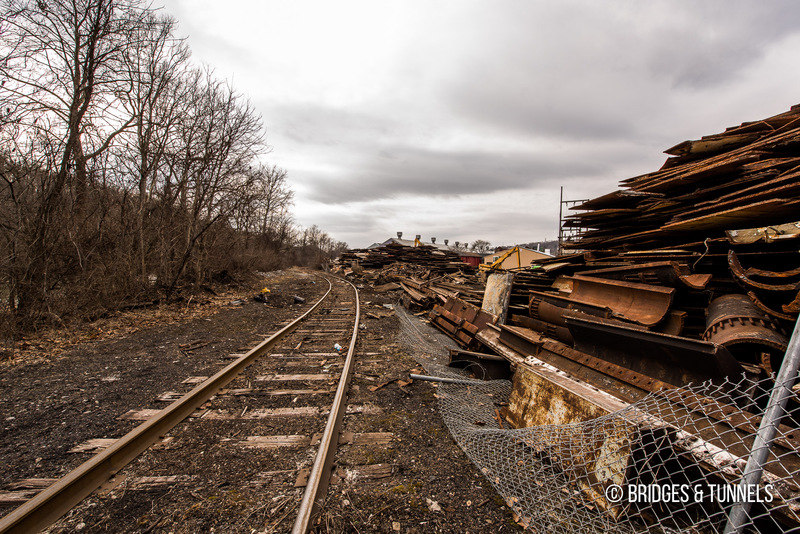 While the B&O never succeeded in gaining direct access to New York City, the BR&P was relatively successful. 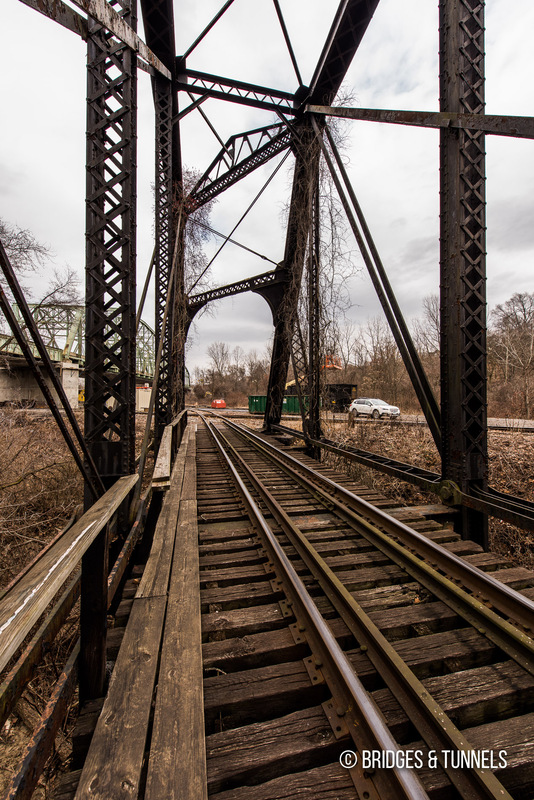 Today, the BR&P alignment through New Castle is serviced by the New Castle Industrial Railroad. 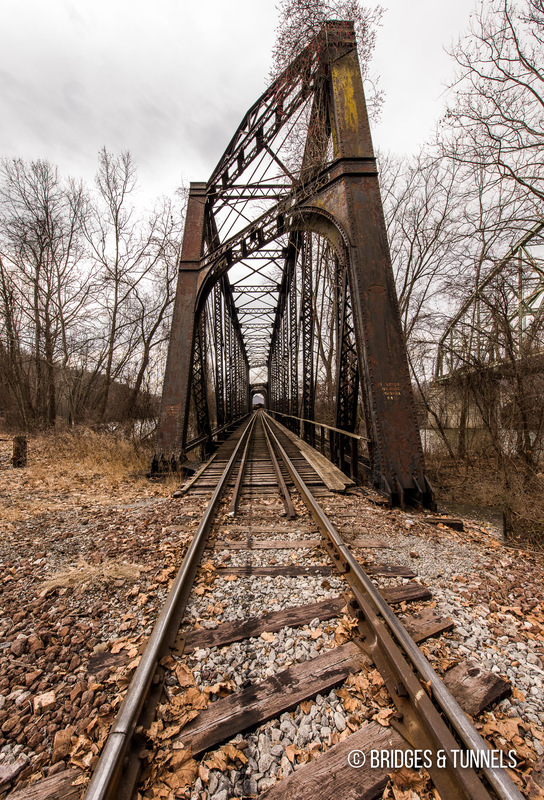 3 Formed in 1991, the locally owned, locally operated switching short line serves various industrial sites utilizing right-of-way and trackage from the Pennsylvania, B&O and Pittsburgh & Lake Erie railroads. “The Buffalo, Rochester and Pittsburgh Railway, Safety And Service.” American-Rails.com, article. “Insurance maps of New Castle, Lawrence County, Pennsylvania, 1904.” PennState University Libraries, map. 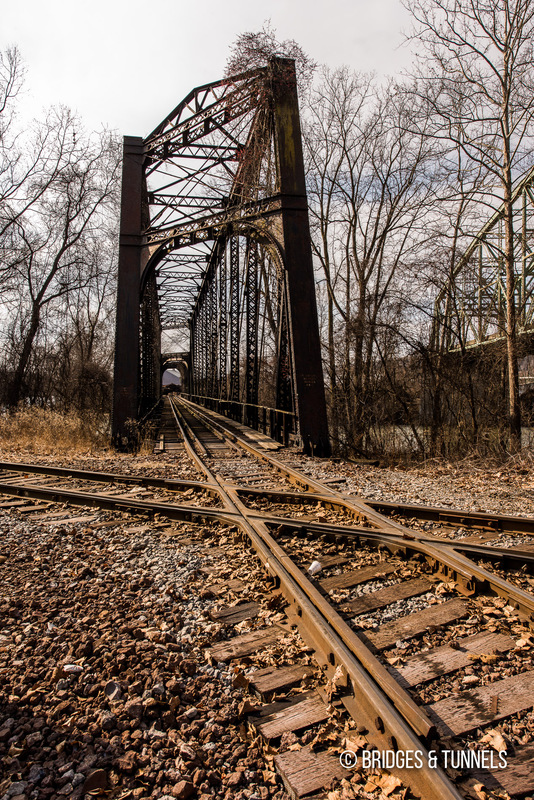 “New Castle Industrial Railroad.” Hawkinsrails.net, article. “Connecting Road Goes In At Once.” New Castle News, 14 Aug. 1901, p. 14.